Lately I have been swapping my daily fish oil caplets for Omega Infusion zero calorie beverage drinks. The drinks taste just like those Vitamin Water or other fruity flavored waters that I love guzzling in the name of hydration boredom busting, and they contain 80 mg’s of those healthy Omega-3s (EPA/DHA). The drinks also have added B vitamins and good ol’ antioxidant vitamin C.
I started making Omega-3 supplements a big priority over the last few years, taking a daily fish oil supplement. The human body does not naturally produce the nutrients found in Omega-3’s, so we should seek them out through eating fish, flaxseed and other sources. My kids are not fans of most healthy fish dinners, and throughout my pregnancies and nursing I wanted to make sure I was not imbibing too much mercury. Thus, I thought a daily fish oil supplement was the way to go. But most fish oil supplements give me nausea, heartburn, and my personal favorite, fishier breath than a beach town alley cat….very attractive. So when the Omega Infusion folks offered to send me samples, I was down. I’m working out regularly and making my health a priority, so fun, healthy, tasty flavored waters were a welcome review. 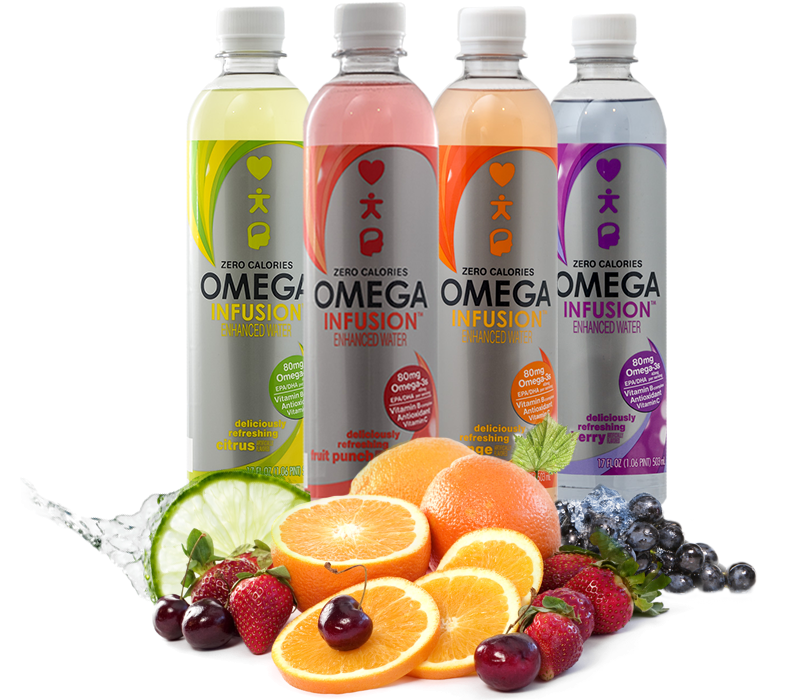 The Omega Infusion drinks taste good, and I’m happy to get my Omega-3’s in a palatable form. The FDA has qualified that Omega-3 fatty acids reduce the risk of coronary heart disease. Studies have also shown that Omega-3’s lower the risk of strokes. Studies show that omega-3 fatty acids lower high triglycerides, a common side effect of diabetes, and do not raise blood sugar. Users of Omega-3’s report lowered depression and stress levels (I find this to be very true), as well as improved cognitive function and motivation. Good levels of Omega-3’s also make for higher level of satiety and appetite reduction. As for that less point about less appetite, as I am working on losing weight but also beating my love of diet soda, I find the Omega Infusion fruity waters to be a welcome no-calorie afternoon treat or post-workout drink. I have found the drinks on the shelves of my local Giant, and they are also carried at Stop & Shop and HEB stores. Learn more on Omega Infusion’s Facebook page and follow them on Twitter. Disclosure: I received review product and sponsorship from Omega Fusion. All opinions expressed are my own. Love your comments and I agree. But there is much confusion regarding healthy and the difference between Sport Drink, Energy Drink, Vitamin Drink, and flavored water. And while all these options are generally on the same isle sharing the same self, is there any reason to maybe put the Infusion drink in the vitamin section as well? Opera was originally developed in 1994 by the Norwegian company Telenor. most part. Tools ->> Options ->> Privacy Tab ->> Settings button. in suppkrt of his web page, sijnce here every data is quality based material. his/her mind that how a user can know it. So that’s why this post is amazing. around the web. Shame on the search engines for now not positioning this put up upper! board and I finbd It truly useful & it helped me out much. to determine the most appropriate treatment for you. 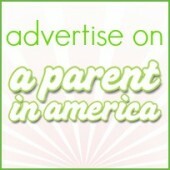 website and in accession capital to assert that I get in fact loved account your weblog posts. 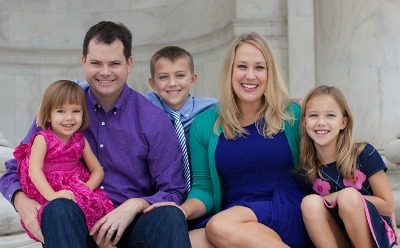 Than Fish Burps – A Parent in America – One Funny Mother Blogger. Sure, it costs a bit more than the regular dryers, but it is totally worth it. the temperature of the sstraightener so there is no risk of using an overheated iron on hair. Forr years, Babyliss has been one of the ost popular and preferred brand by hair equipmennt shoppers. at hand is undoubtedly simpler than some find it. All you have to do is revise or the tumbler or merely any lock tube. Might it be the most important thing to accomplish? cause us a number of distress which explains which and where you must bear them. condominium homes, flats, or even if that you keep many keys and it’s troubling you. Rekeying is the next way for you to update an affordable lock. while rekeying. The predicament is the instant do you need to redo your current lock? lot kind of locks which often can be not virtually the same. a locksmith provider and then see to it they will be gurus and therefore widely known. us strive for the ever-illusive pursuit of perfection. Stores all over sell slimming tea, dieter’s tea and others but all of them. business. It’s just a shame that most traders don’t see it that way. I’m inspired! Extremely helpful info particularly the closing part I take care of such info much. fact love this website, thanks. There are some of you that became bald in your twenties or thirties. for natural-looking extensions, don’t bother with synthetic. forward and backward throughout your entire scalp. like this before. So wonderful to discover another person with some unique thoughts on this subject. Hello! Ӏ’m at work surfing around your blog from my new apple iphone! to listen news on TV, thus I simply use web for that purpose, and obtain the newest information. No magic pill, elixir, potion, charm or spell can do that. One thing lots of people are not aware of is that the drugs you take for your diabetes can in fact be hurting your health. them on Facebook and other social media outlets.